Royale Windows are a family run business with a trading history of manufacturing and fitting double glazed windows, doors, conservatories and porches since 1980 covering the Birmingham and surrounding areas. Based in Kings Heath at the heart of Birmingham, we have over 34 years experience in offering quality products and a high level of service to our customers. We pride ourselves in offering a no pressure and no gimmick service where AFFORDABILITY and PROFESSIONAL advice are key factors in keeping our 100’s of existing clients happy. 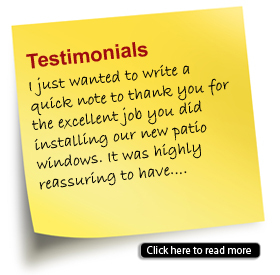 We have a friendly and fully trained team of double glazing installation specialists who will complete your windows, doors or conservatory fitting in a friendly and helpful manner ensuring the process creates as little disruption to your routine as possible. 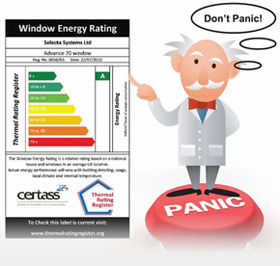 To give you complete satisfaction and peace of mind once we have completed your installation, all our home improvements products come with a 10 year guarantee and we are CERTASS registered for your protection. To discuss your Home Improvement requirements in more detail or to arrange a no obligation visit from one or our friendly team please call us today on 0121 430 8713 or come and visit our showroom to view our current range (open Monday – Friday 8.00am til 4.30pm). We supply double glazed windows, uPVC and composite doors including bi-fold doors, french doors and patios doors, conservatories and porches, so please contact us for more information. All installation images contained in this website are examples of our own work. We supply an extensive range of uPVC and Composite doors, including bi folding, french and patios doors offering high levels of quality and security and outstanding value. Royale Windows tailors every uPVC double glazed windows installation to you, manufactured by expert craftsmen using state of the art manufacturing equipment and quality materials. All our porches are tailor made to your personal specification, from building the base and brickwork if required, to fitting the windows, doors, decorative panels and roofing. Our beautiful conservatories are built to your requirements to produce a practical, yet appealing extension to any living space, generating additional light and providing a relaxing ambience.